Mule 4, the next generation release of the runtime engine, simplifies complex integration tasks and accelerates the speed of delivery. 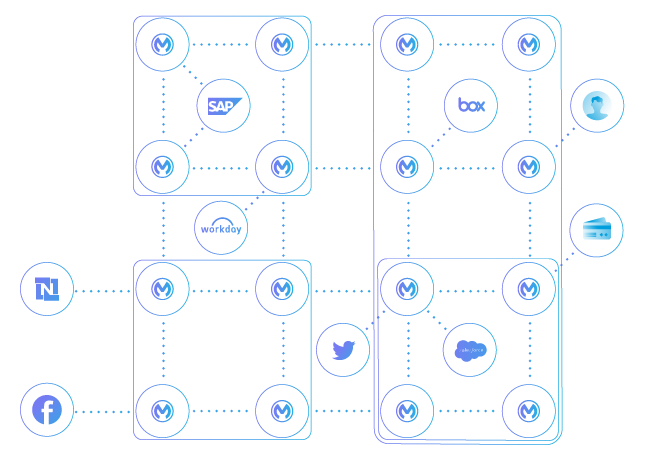 With up to 50% fewer concepts to learn and implement, Mule 4 empowers a broader set of users, from integration specialists to business owners, with access to payload data to quickly build application network nodes. 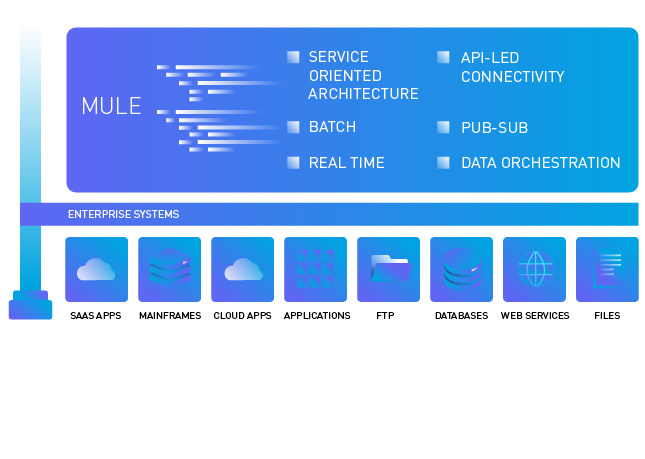 Anypoint Runtime Fabric is a container service that makes it easy to manage multi-cloud deployments of Mule runtimes and to deploy multiple runtime versions on the same Runtime Fabric. 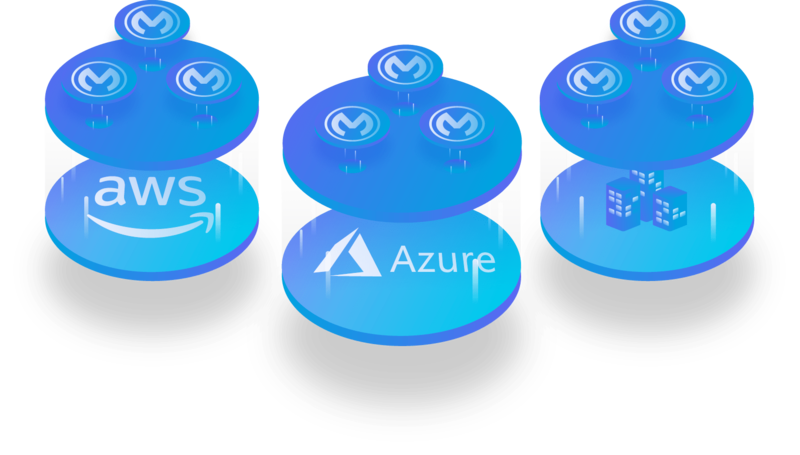 By leveraging Docker and Kubernetes, Anypoint Runtime Fabric drastically simplifies the deployment and management of Mule runtimes on Microsoft Azure, Amazon Web Services (AWS), virtual machines (VMs), and physical servers. Isolate apps, scale horizontally, and redeploy with zero downtime. Anypoint Security introduces a groundbreaking new security model for distributed architectures. Advanced firewalls and tokenization services simplify how security is delivered across every node, and new and upcoming certifications for FedRamp and GDPR mean you can deploy with the assurance that Anypoint Platform meets the highest levels of compliance. 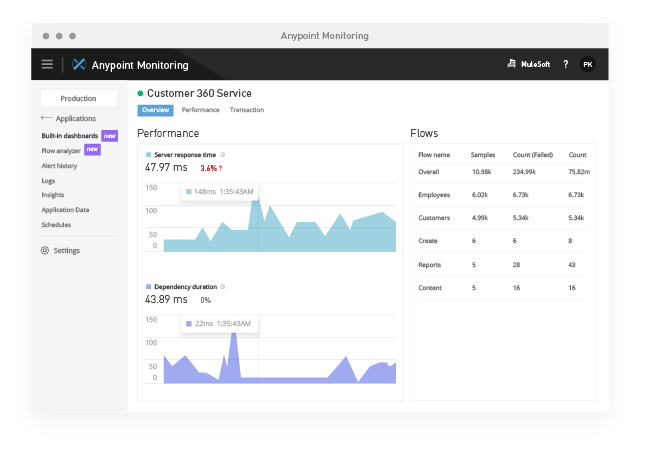 Anypoint Monitoring provides the actionable visibility you need to maintain control over key performance indicators across your application network. Take advantage of granular metrics and customizable dashboards to track trends in real time, and store and search historic data to accelerate root cause analysis across every node. The tokenization capabilities within MuleSoft’s Anypoint Platform allow us to secure credit card transactions flowing through JetBlue eCommerce Platform, so that we can drive innovation and agility without compromising security. 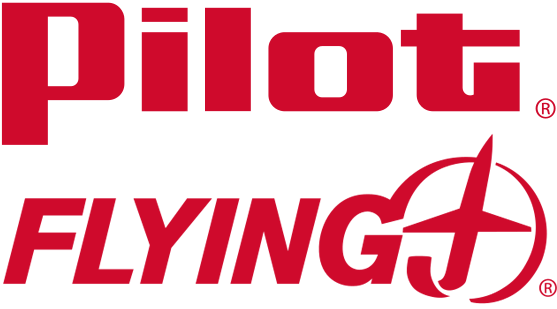 With a combined network of more than 750 Pilot Flying J Travel Centers across North America, MuleSoft is critical to enabling us to deliver innovation at scale. MuleSoft’s Anypoint Platform allows us to securely build and share APIs with external partners, as well as experiment with new technology, to provide a frictionless experience for our guests, including professional drivers and traveling motorists.